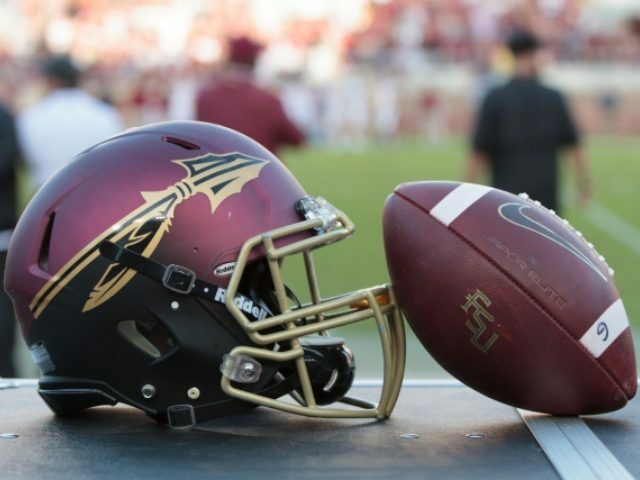 The Twitter feed for the Florida State Seminoles’ recruiting page sought to celebrate Martin Luther King Day with a graphic featuring a photo-shopped image of the civil rights icon wearing a Nike receiving glove. The school took a massive wave of Twitter criticism and deleted the campaign shortly after it was launched on Monday. Twitter users were all over the school for the “offensive” graphic. Florida State recruiting just tweeted out a picture of Martin Luther King wearing Nike Vapor receiving gloves and doing the Tomahawk Chop. like Photoshop #MLK with Nike gloves and simulating the Florida State chop? Do something … just not that. SportsFlorida State SeminolesMartin Luther King DayMartin Luther King Jr.